The Music Director of Christ Apostolic Church Worldwide, Pastor Tope Dada has described the President of the mission, Pastor Abraham O. Akinosun as a great and visionary leader. Pastor Tope Dada affirmed that the exemplary leadership provided by Pastor Akinosun has resulted in an exponential growth of the church, which directly translates into development in all ramifications. 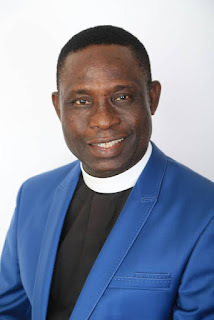 He extolled Pastor Akinosun for his humility, focus, discipline and sacrificial spirit of giving up his personal comfort, career and dreams, to take up the higher call of leading the Lord’s flock. He prayed that the almighty God will grant the church leader longer life, good health and more strength to propagate the word of God. The Music Director also urged the President to keep the flag flying as he leads the church into the new century stronger and covering wider space for Jehovah.